Summer tobogganing or downhill trails are a special attraction for families with kids. 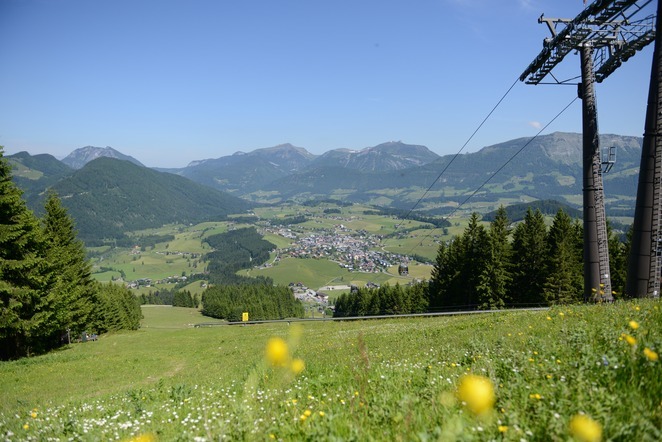 But the Karkogel cable car doesn’t just offer you a starting point for speedy toboggan descents, it also brings you right to the start of numerous hiking trails, from which many alpine chalets are accessible. While the little ones enjoy the amusement park, teens are off taking part in action sports: summer tobogganing, natural toboggan runs and paragliding – on the Karkogel, the sporty adventure mountain near Salzburg, outdoor sports enthusiasts are in the right place.